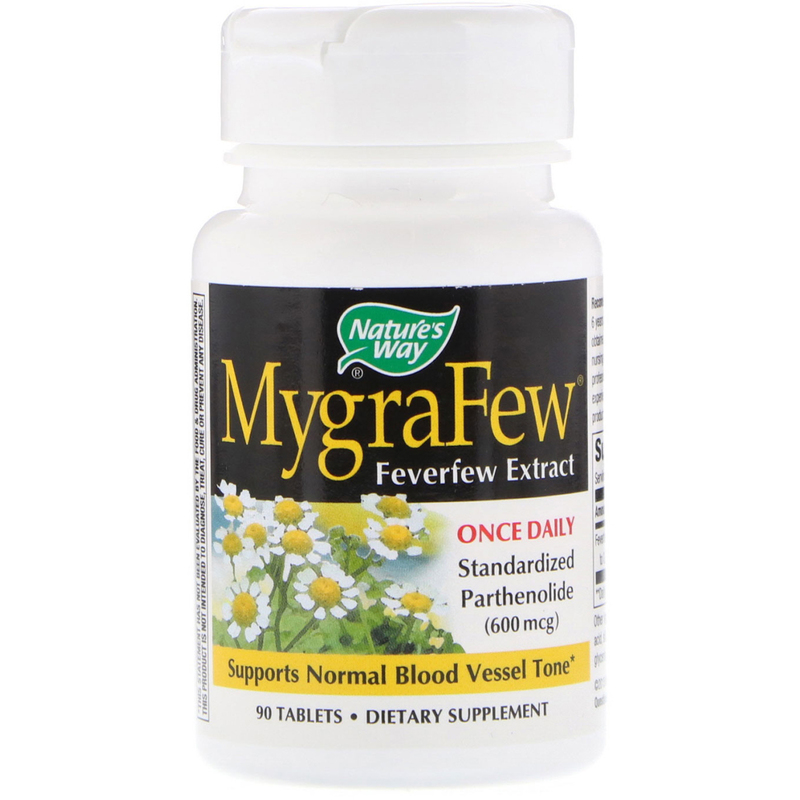 MygraFew is a standardized feverfew extract that supports normal blood vessel tone. 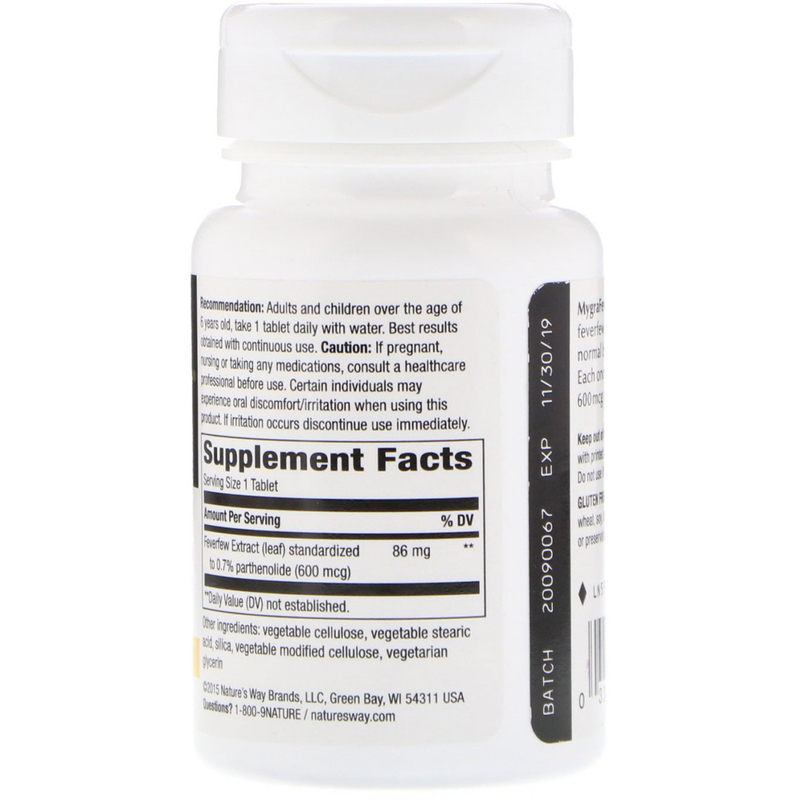 Each once daily tablet provides 600 mcg of parthenolide. Recommendation: Adults and children over the age of 6 years old, take 1 tablet daily with water. Best results obtained with continuous use. Vegetable cellulose, vegetable stearic acid, silica, vegetable modified cellulose, vegetarian glycerin. Caution: If pregnant, nursing, or taking any medications, consult a healthcare professional before use. Certain individuals may experience oral discomfort/irritation when using this product. If irritation occurs discontinue use immediately.